Nina Simone- "I Put a Spell on You"
My ex-wife, and still on of my best friends, Yvonne , introduced me to the Nina Simone's exquisite music. Many years ago.. Her poetry, and unique way of rendering it in her songs is true masterpiece. When she sings "I Put a Spell on You", it's to this humble scribber, the greatest amongst her many works of art. Minha ex-expôsa Yvonne, ainda uma de minhas melhores amigas me introduziu à música de Nina Simone muitos anos atrás. A poesia dela, e única maneira de interpreta-la, em músicas é verdadeira obra de arte. Quando canta "I Put a Spell on You", para mim, êste modesto blogueiro, é a sua obra-prima entre seus muitos trabalhos de arte. You will be hired at minimum wage of $5.35 an hour. Let me have your e-mail address so that we can get you in the loop. Our system will automatically e-mail you all the forms and advise you when to start and where to report on your first day. You must understand that to a company like ours that means that you virtually do not exist. Without an e-mail address you can hardly expect to be employed by a high-tech firm. Good day. Stunned, the man leaves not knowing where to turn and having $10 in his wallet, he walks past a farmers' market and sees a stand selling 25 lb. crates of beautiful red tomatoes. He buys a crate, carries it to a busy corner and displays the tomatoes. In less than 2 hours he sells all the tomatoes and makes 100% profit. Repeating the process several times more that day, he ends up with almost $100 and arrives home that night with several bags of groceries for his family. During the night he decides to repeat the tomato business the next day. By the end of the week he is getting up early every day and working into the night. He multiplies his profits quickly. Early in the second week he acquires a cart to transport several boxes of tomatoes at a time, but before a month is up he sells the cart to buy a broken-down pickup truck. At the end of a year he owns three old trucks. His two sons have left their neighborhood gangs to help him with the tomato business, his wife is buying the tomatoes, and his daughter is taking night courses at the community college so she can keep books for him. By the end of the second year he has a dozen very nice used trucks and employs fifteen previously unemployed people, all selling tomatoes. He continues to work hard. Ha! snorts the man. If I'd had e-mail five years ago I would be sweeping floors at Microsoft and making $5.35 an hour. Já falei aqui do meu camarada Sergio Alexandre, arquiteto, cantor/compositor, pintor dos bons e os cambau. No site dele http://www.sergioalexandre.com/ voce pode encontrar suas músicas disponíveis para download e suas incríveis pinturas. Sergio tambem esta expondo no excelente site de pinturas http://en.artists.de/esquilo.html . Altamente recomendável. vale a pena visitar. Cathy Vogan, australiana produtora de alguns dos mais incríveis video-clips que eu já vi. One of the most fascinating and enigmatic -- if not the most successful -- singer/songwriters of the late '60s, Leonard Cohen has retained an audience across four decades of music-making interrupted by various digressions into personal and creative exploration, all of which have only added to the mystique surrounding him. Second only to Bob Dylan (and perhaps Paul Simon), he commands the attention of critics and younger musicians more firmly than any other musical figure from the 1960s who is still working at the outset of the 21st century, which is all the more remarkable an achievement for someone who didn't even aspire to a musical career until he was in his thirties. Um dos mais fascinantes e enigmáticos, se não o bem mais sucedido cantor/compositor do final dos anos 60, Leonard Cohen retem uma audiência que se extende por quatro décadas de composições, interrompidas por algumas incursões em descoberta pessoal buscando criatividade, que só fez adicionar ao misticismo que já o cercava. Segundo sómente de Bob Dylan (e talvez Paul Simon), êle tem a atenção de críticos e jovens músicos muito mais do que qualquer outro músico dos anos 60, que ainda esteja em atividade neste início do século 21, o que torna-se impressionante conquista para alguem que nem mesmo aspirava por uma carreira musical, quando já tinha mais de trinta anos de idade. Sonho de uma noite de verão. I just find strange that the Democrats aren't talking about this picture at all. Q:Is that a real photo of Sarah Palin holding a rifle and wearing a bikini? A:It's a fake - Palin's head on the body of a woman who posed for it in 2004 as a joke. We have the full story of how this image was created and spread like a virus, fooling many. A picture may be worth 1,000 words, but that doesn't make it true. Soon after Sen. John McCain named Alaska Gov. Sarah Palin as his running mate, a faked photo began to circulate showing a grinning Palin wearing a red, white and blue bikini and holding a rifle with a telescopic sight. It was quickly exposed as phony by blogger John Hawkins of Right Wing News, who said he examined the photo in a graphic program and determined that Palin's head was "pasted on" the body of another woman. Hawkins later located the original shot of the actual bikini-wearing gun-toter. But there's even more to the story – and FactCheck.org has the details. Original photo of "Elizabeth" by Addison Godel, copyright 2004. Reprinted with permission. The original photo was actually taken May 23, 2004, somewhere east of Athens, Ga., by Addison Godel, now a student of architecture at Ohio State University in Columbus. He says it was a gag shot. The friend who posed for it, whom he identifies only as "Elizabeth," was 22 years old at the time and intended it as a spoof of flag-waving, gun-toting persons with whom she disagreed politically. The weapon pictured is not even an actual firearm. "It was definitely not a real rifle," Godel told us in an exchange of e-mails. It looks to us like an air-powered pellet rifle, but Godel says he doesn't recall whether it was a pellet gun or a BB gun. Godel says he uploaded the photo to his public flickr.com Web page in 2006, but that he's not the one who pasted on Palin's head. Responsibility for that has been claimed by another person, who describes herself as "a recently laid-off soul with way too much time on her hands." Posting under the name of "Innocuous Fun," she states: "I was the brazen Photoshopper that doctored the image. I created the image this past Saturday [Aug. 30] and posted it to my Facebook blog." Elsewhere, she posted a screen shot of that private Web page to back up her account. "To be honest, I didn't think ANYONE would see this photo except my friends." But somebody copied the fake photo and it began to spread like a virus: "faster than herpes in a celebrity rehab clinic." We contacted "Innocuous Fun," who has given us permission to say that her real first name is Naomi, and that she is a 27-year-old, unemployed Web site editor who lives in New York City. We're withholding other personal information at her request. Naomi tells us she got the idea after hearing that McCain's surprise pick for vice president was a former beauty queen and lifetime member of the National Rifle Association. Recalling the "Elizabeth" shot which she had seen earlier, she searched the Internet quickly for a head shot of Palin that had somewhat similar lighting and created the composite image using the Adobe Photoshop program in about 15 minutes. Although only 289 people have access to the image on her private Facebook page, Naomi was not all that surprised to see it used elsewhere. 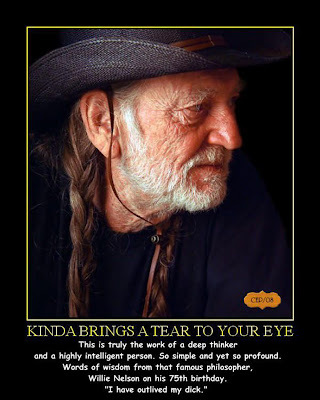 "I did say, 'If you want to pass this on, feel free.' " But she says she was amazed at how rapidly and widely it got around. "I had no idea it had spread as far as it did until brother called me at 3am to tell me my picture was on the Huffington Post," she says. This image has been exposed as a fake numerous times elsewhere. Nevertheless, we continue to receive inquiries from persons wondering if the photo is real, and we have seen Internet postings passing it off as authentic. As Naomi notes in one of her postings, "Alas, people believe what they want to believe, especially in an election year, and this little exercise in Photoshopping is no exception." We say "Amen" to that. Hawkins, John. "This Is The Sarah Palin Bikini Shot You Are Looking For And, No, It's Not Real." Right Wing News, 2 Sept. 2008. Godel, Addison. 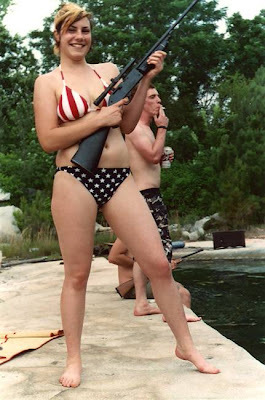 "elizabeth - american flag bikini rifle." 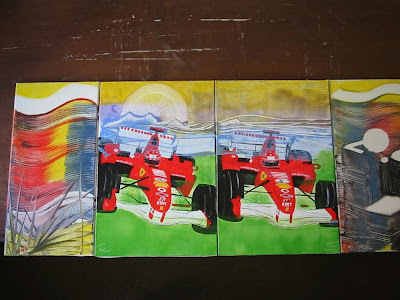 Posted on flickr Web site, accessed 8 Sept. 2008. Putting a cap on this night, Tonight, remembering those crazy nights on the 70's smoking a joint, walking countless hours, on the streets of my Santos, with long vanished friends. Well, greetings to our next VP. Because I don't know much about our next VP, I'm posting, let me say, this: impressive shot of her preparing to fight terrorism.